SET IT OFF presents: SO FRESH SO CLEAN WEST SIDE - 5TH BIRTHDAY — Paradise by way of Kensal Green | Iconic West London pub, bar, restaurant and nightclub. 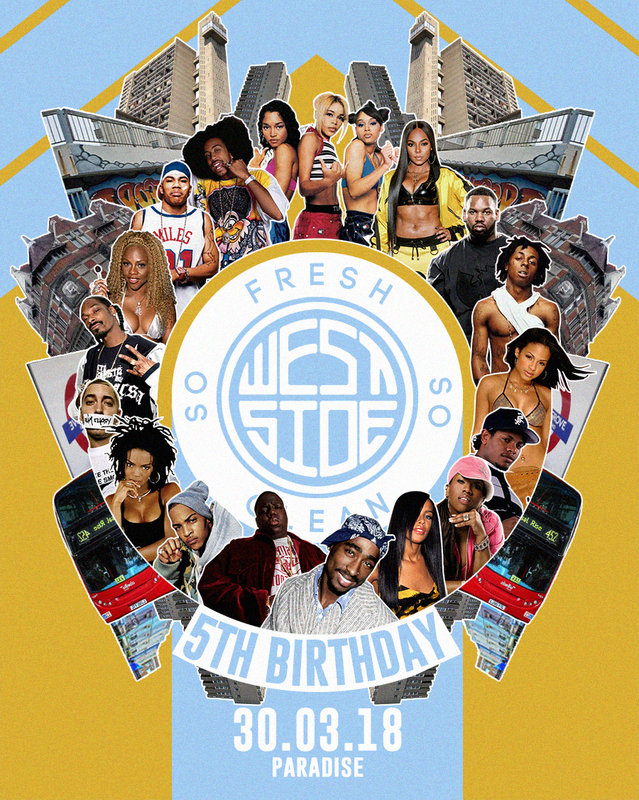 So Fresh So Clean is back in West London for their 5th BIRTHDAY PARTY, taking over BOTH floors of Paradise for this special! So Fresh So Clean looks back to classic hip-hop and RnB jams from the 90s and double-ohs. Bringing old skool flavours from the USA to the LDN and everything in between at Paradise.